Moisture is able to get into your home in a variety of ways, including the following: over the top of the foundation (poor yard grading or drainage), through leaking basement windows with clogged well drains, through the cove joint (where the wall and floor meet), through wall or floor cracks, or there could be water present because of a plumbing-related problem with leaking pipes or a backed up sewer line. Why is it Important to Have a Dry Basement? When you don't have moisture under your home, you don't have to worry about mold, mildew, problems for your home's structural integrity because of wood rot, and you will have much better indoor air quality. Also, homes with a waterproofing system installed sell much better than basements that do not. What Problems Could Basement Moisture Cause? Water here could cause wooden supports, floor joists, staircases, and banisters below your home to rot and deteriorate. Also, some of these materials are responsible for holding up your home's weight, so a problem here could cause issues for your building's structural integrity. The moisture may also eventually lead to the growth of dangerous mold or mildew, and this could make your family really sick. I Think I Have Water in My Basement, What Should I Do? Follow the quick fixes found on this site. If they don't work, fill out the contact form and get help from a local waterproofing company in your area. My Basement Only Leaks After Heavy Rains, What Could Be Causing This? This could be caused from a variety of factors. You may have wall or floor cracks that are letting in a lot of moisture from the soil surrounding the home due to a rising water table. You may also have an un-sealed cove joint that lets water pour inside from the earth. There are many things that can cause this problem, but regardless of how often the basement leaks, you need to get it fixed ASAP. My Home is 20+ Years Old, So Why is it Just Now Leaking? In times past, builders only had to use the most basic form of waterproofing which is known as damp-proofing. This usually involved applying a light coat of a waterproof material to the outside of the foundation walls. Needless to say, this coating will eventually wear off, and if you don't have a waterproofing system in your basement already, moisture will find its way inside. I Only Notice Water in One Spot in the Basement, Can I Fix Just That? If you only see water in one spot, there should be a simple fix to the problem. For example, water in one spot on the floor may be from a floor crack. This can easily be fixed with an epoxy or polyurethane injection material. I See Water Pooling Up By My Foundation, Is This Bad? Yes, this is an indication of a lawn grading or drainage issue. Water pooling up here will eventually find its way into the basement either over the top of the foundation, through wall cracks, or through a leaking basement window. I See Mold on the Wall...Is This Dangerous? Yes, mold growing in any amount can cause problems for your indoor air quality. When mold grows, it releases spores into the air. When this happens, your family will eventually breathe them in, and it can cause a variety of serious medical problems. Not only that, but it can make your home smell very musty. Am I Able to Prevent Basement Leaks? 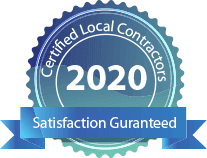 Yes, be sure that you fill out our contact form to get in touch with a local waterproofer in your area. They will be able to help you come up with the perfect preventative plan for your home. There is a White Substance on My Basement Walls - What is It? This is known as efflorescence. It is caused from water being evaporated out of concrete materials. It is the deposit left behind on the wall surfaces. This is always a good indication that there is moisture somewhere in the basement environment. First, you can follow some of the simple fixes on our site to see if the help to take care of the problem. If not, you should fill out our form to get in touch with a local waterproofing contractor in your area for additional help. How Long Does it Take to Install a Waterproofing System? It depends on what system you are getting installed, as well as how large of a basement you have. Typically speaking, most waterproofing systems are able to be installed in a few days. What Should I Expert During the Consultation? The waterproofing contractor will come to your home, thoroughly inspect the basement environment, and then he or she will be able to recommend the best course of action for getting the problem taken care of. They will also be able to provide you with a time and cost estimate at this time. If I Have a Finished Basement With Drywall, Is That a Problem? Typically speaking, no, this would not be a problem. However, all cases are treated uniquely. Your local waterproofer will be able to provide you with a customized solution to get rid of the moisture building up behind your walls or on the floor. My Basement is Finished, Can I Still Get a Waterproofing System Installed? Yes, there are a wide variety of waterproofing products available on the market, and your waterproofer will be able to help you choose the best one for your home's needs and your price range.